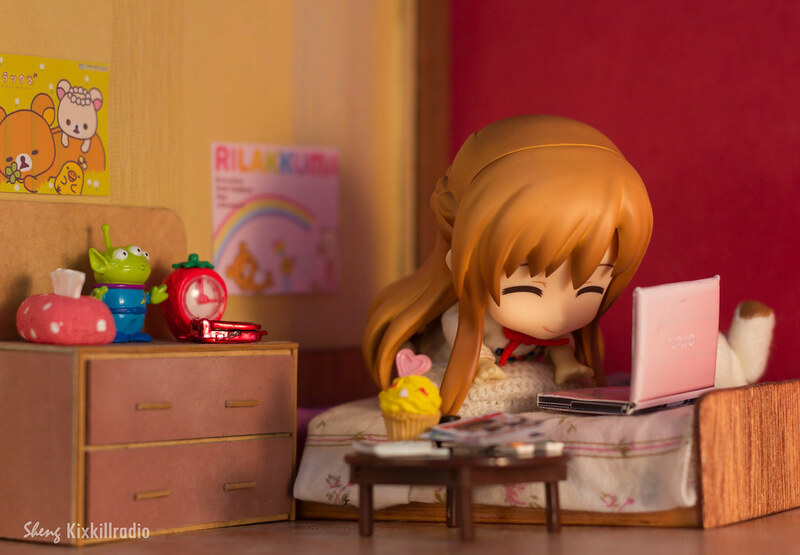 Asuna is the beautiful sub-leader of Knights of Blood in one of the most popular anime, Sword Art Online. On this set, I didn’t include her combat poses and her Knight costume because I feel that it would be best to wait til Kirito arrives. 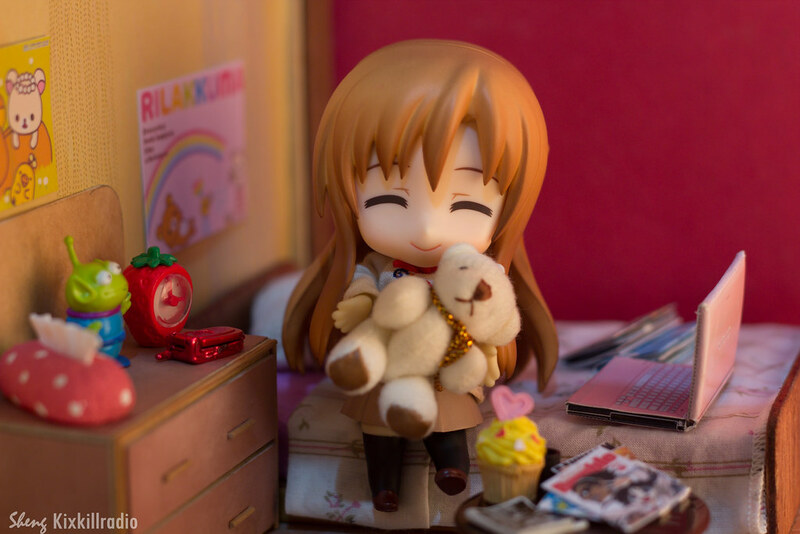 I will get my hands on Kirito next week and there will be more lovey-dovey photos coming. I based the title from Teenage Fanclub’s song “Sweet Days Waiting”. The bedroom set is all self-made including the window, drawer, bed and manga/books. I used few Re-ment miniatures for decoration. 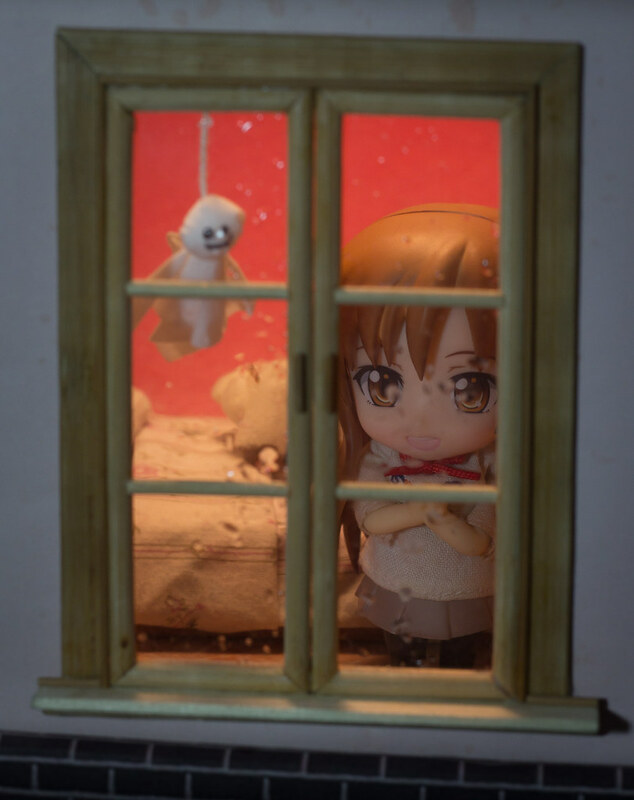 I used Miho’s body for Asuna — so she could wear a sweater. The first photo is actually a bit awkward, she couldn’t sit the way I want her to sit. Lol. The last shot looked so melancholic. I forgot the name of that doll-thing on the window, but it’s so adorable! Do you have Kirito too? ahh she looks so huggable! You did an amazing job on these! If you have a Nendoroid Chiaki, you could try to turn her into one! 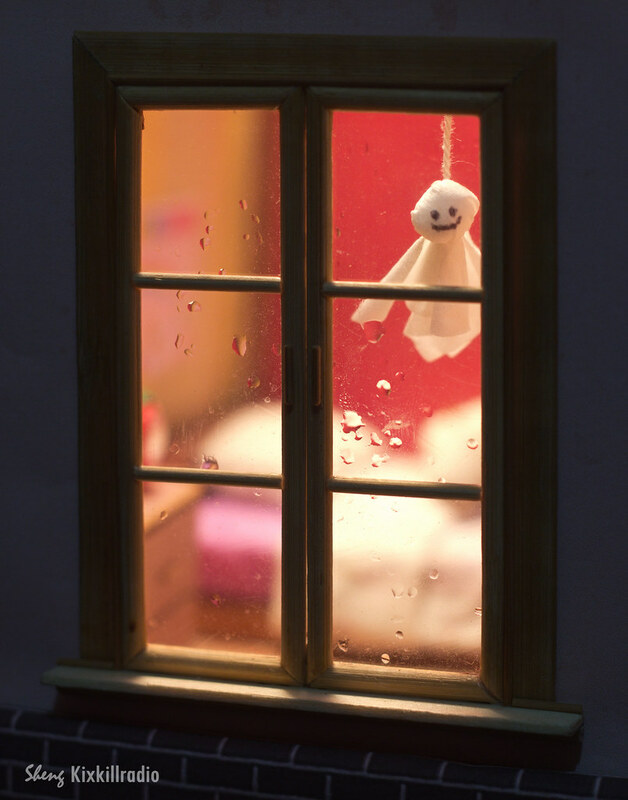 I see, good to know about teru teru bozu. I've been trying to google it for the past few days and I couldn't get the right keyword. Oh, that’s a girl thing. I wish I have a sweet looking room like this. My room is full of figure boxes. Haha. Beautiful work! I really love that last shot.